Light up your Christmas and New Year with a festive holiday – whether you are looking to enjoy seasonal celebrations in the snowy realms of Lapland and Iceland or get away from it all and embrace the austral summer on the other side of the world, we have a collection of holidays for the festive period to suit all tastes. Wherever you wish to spend Christmas we have a stocking-full of holiday goodies from action-packed breaks to relaxing escapes. Contact our travel specialists to discuss your festive break options. 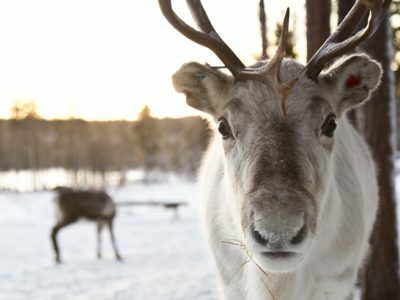 Surely there’s nowhere better in the world to spend Christmas than in authentic Lapland? Snow-covered forests and pristine open spaces sparkling in the sunshine provide scenes straight from a Christmas card. We’ve been smitten with this region long enough to have discovered the very best places to stay during the festive break, from the seriously cool to the supremely cosy. A torchlight procession, carol concert and glittering lights add an extra sparkle of magic to our Icehotel festive itineraries in Swedish Lapland including a night sleeping on ice. You can also combine with aurora hunting in Abisko National Park. In Finnish Lapland, enjoy an authentic log cabin experience relaxing with a crackling fire and private sauna. 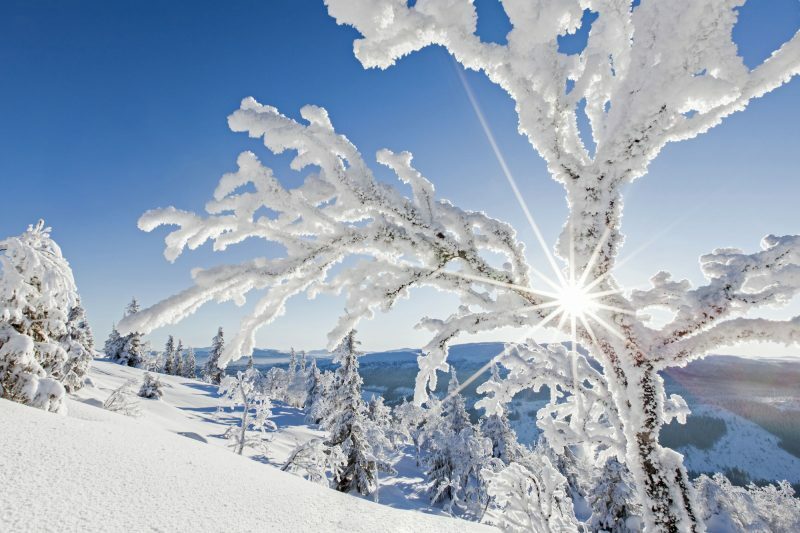 With winter activities available from husky sledding to snowmobiling, reindeer sledging to snowshoeing, if you’re dreaming of a white Christmas, the deep, crisp snow of Lapland offers the quintessential winter wonderland. Spend Christmas or New Year in Iceland and discover a land of festivity and magic. Reykjavik is aglow during the festive season as the city shimmers with lights and warmth. Take a classic city break and immerse yourself quirky Icelandic traditions and enjoy fine dining for which the city has a growing reputation. Days spent exploring the natural wonders beyond the city complete the escape. 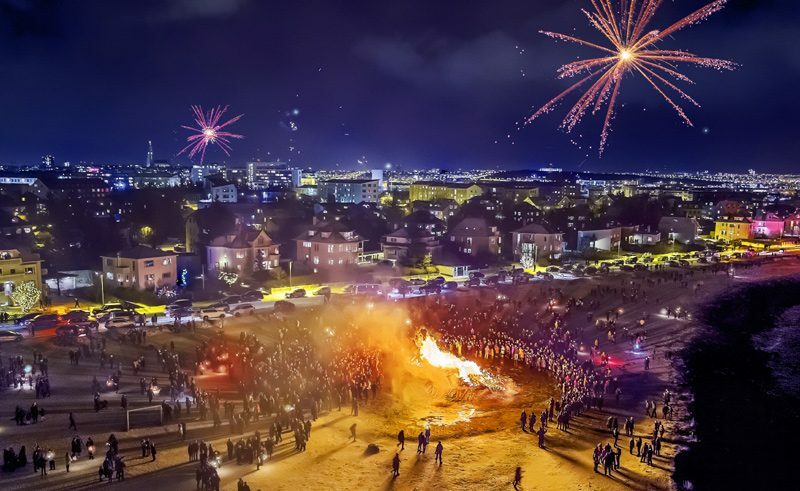 Though not an official fireworks display, Reykjavik lights up on New Year’s Eve as a large proportion of the city’s inhabitants simply unleash 500 tons of fireworks in a jubilant blaze of colour. For those looking to start the year with a bang, we’ve devised two special itineraries – choose between a single centre break based in the city or combine with two nights in a stylish countryside property in search of the northern lights. If you intend to use the Christmas holiday period as an opportunity to travel further afield, the southern hemisphere summer provides some wonderful possibilities. 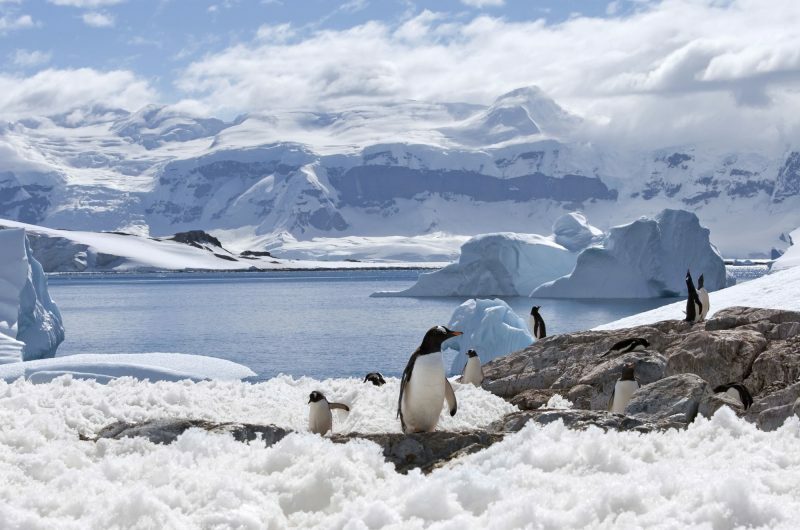 Journeying to the ‘Great White Continent’ and the sub-Antarctic islands in December and early January offers the alluring prospect of witnessing penguin chicks hatch in addition to the extraordinary scenery. The mildest months with the longest hours of daylight, December into January is high summer in Antarctica, meaning booking early is highly recommended. We offer an exciting choice of voyages from a classic Peninsula cruise to extended journeys taking in South Georgia and the Falklands as well. The long, warm days and mild nights of the summer are perfect for exploring the diverse landscapes of New Zealand. Feel the freedom in your own motorhome, don your hiking boots to discover picturesque coastlines and towering mountains, marvel at the wildlife, or just kick back, relax and savour the stunning scenery adorned with New Zealand’s very own Christmas tree – the pohutukawa. Alternatively head ‘Down Under’ to soak up the summer sunshine on the golden beaches of Australia. 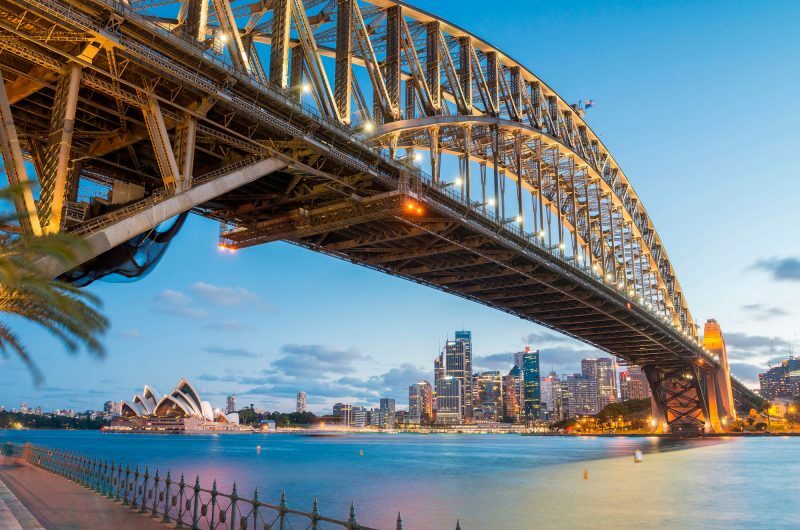 Explore the breathtaking Great Barrier Reef or spend time hiking through national parks. Renowned for its unique wildlife, fascinating landscapes and friendly locals, celebrate the festive season with a chilled glass of award-winning wine!